The debt exceeds over 99m hryvnyas. 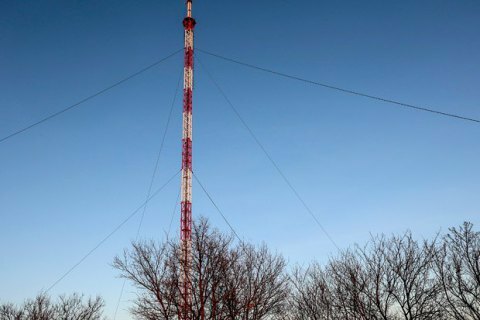 Six masts in Luhansk Region, which broadcast Ukrainian TV and radio channels, have been cut off the grid, Radio Liberty/Radio Free Europe has said. The stations are down in Lysychansk, Shyrokyne, Bilolutsk, Zorynivka, Svatove and Bilovodsk, the Radio Broadcasting, Radio Communication and Television (RRT) Concern has said. All the facilities are working in an emergency mode, using diesel generators. RRT Concern said that the facilities were disconnected from power over unpaid energy bills to the supplier. The National Public TV and Radio Company's debt has exceeded 99m hryvnyas. "As a result of the disconnection from power, TV and radio analog and digital broadcasts were stopped in full, there were also disruptions in the work of radio broadcasting and devices of the Security Service of Ukraine, the Defence Ministry, the Interior Ministry, the Special Communications Service, Ukrtelekom, mobile and other communication operators all over Luhansk Region, including uncontrolled areas," RRT Concern acting director Serhiy Mikryukov said. On 8 April, the acting board chairman of the National Public TV and Radio Company of Ukraine, Zurab Alasaniya, said that the company has no debt to RRT because it had not ordered this service, money was not booked in the budget for it. Broadcasting in most areas of Luhansk Region on 4 April. Pro-Russian militants' replaced Ukrainian broadcasters on some frequencies in some areas.